It’s messy, it smudges, it gets stuck on your teeth, it’s difficult to remove from glass, you end up eating some of it at some point, and finding the right shade it not an easy task. Yes, I am talking about lipstick, I am going to start off by saying that I am not a fan of lipstick. I hardly if ever wear it any, heck I didn’t even wear it to my high school graduation dance. 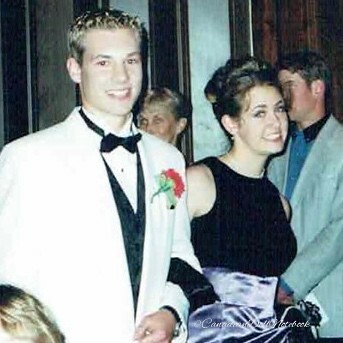 That’s right, I had the hair, the dress, the shoes, the date, and the limo, but I left the lipstick at home. Here I am oh, so many years ago, 100% lipstick-free! 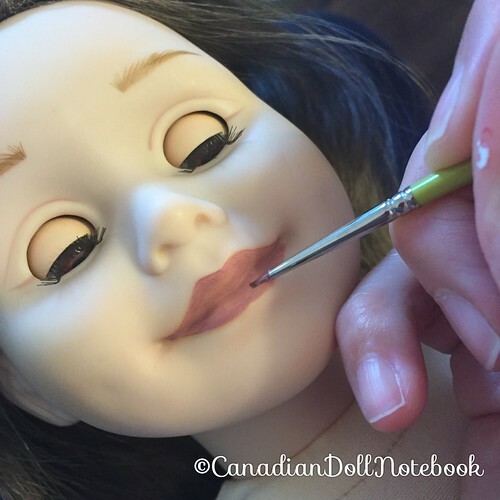 …But once I had her side by to side to my other Taryn doll I knew that she certainly needed some paint. I did study art during my first year of university, however I do not profess to be any kind of artist. Basically I am telling you if I can do this, you can do this too! 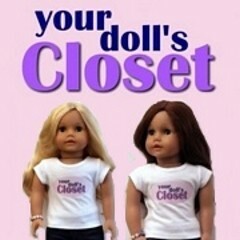 The first thing you need before you get started is another doll, or a paint chip of the colour that you are aiming for. 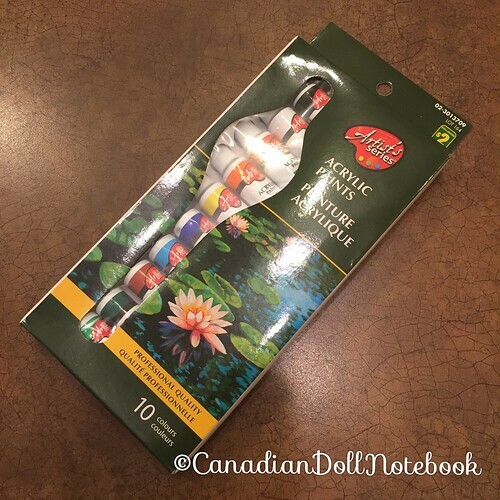 Once again I am cheap, so I headed to Dollarama to pick up some paint. This package had enough colours that I was confident with enough mixing, and patience I could get the colour I wanted. 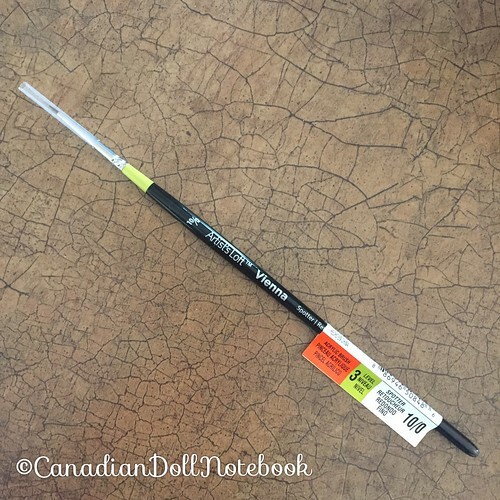 I also picked up this tiny paintbrush at Michaels, it was the smallest that I could find. 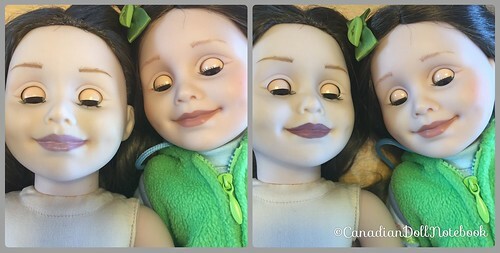 … and compared to my other doll’s lips, and then mixed and compared, and then mixed and compared, and mixed and compared, and mixed and compared… well you get the picture… until finally I was satisfied! Like I said this is hardest part, I went through quite a few different colours, as you can see above. Don’t give up, keep trying you will get it right eventually! One thing that I did learn from my art professor in university was to add water to my acrylic paint. I am not saying pour water into your mixture of colours, just dip your paint brush into a glass of water and mix it in your colour, repeat this until your paint reaches a milky consistency. 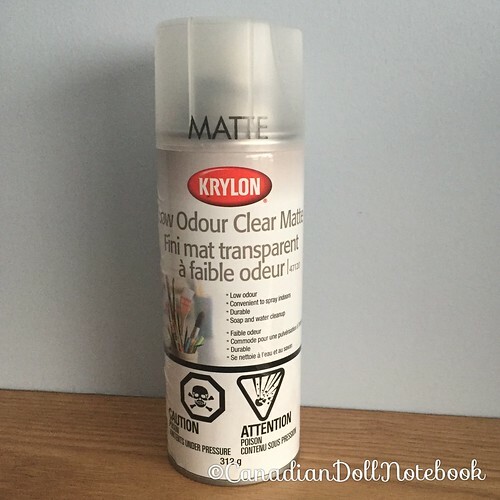 This makes the paint go on smoother thus easier to work with. I started by following the outline of her lips first. Then I filled in the rest. 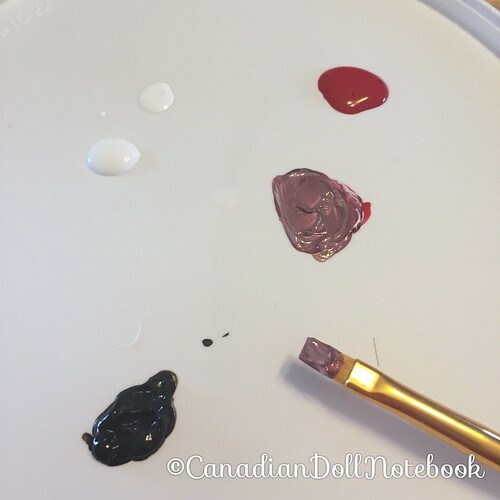 You will want to do only one or two layers of colour, otherwise the paint will be too thick, and it won’t look natural. 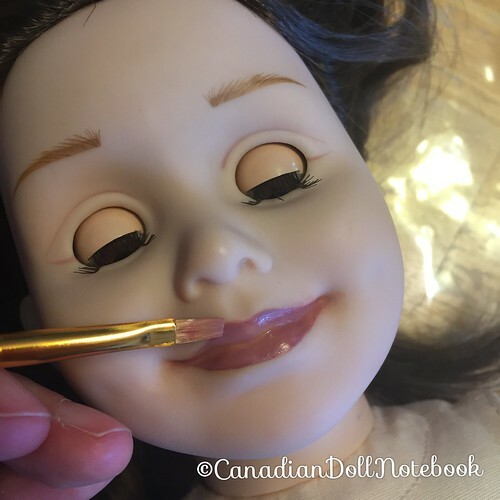 Once the paint is dry, if you would like to make the lips look more natural you can use a piece of fine micro mesh and smooth out the edges of the lips so they blend more into her skin. 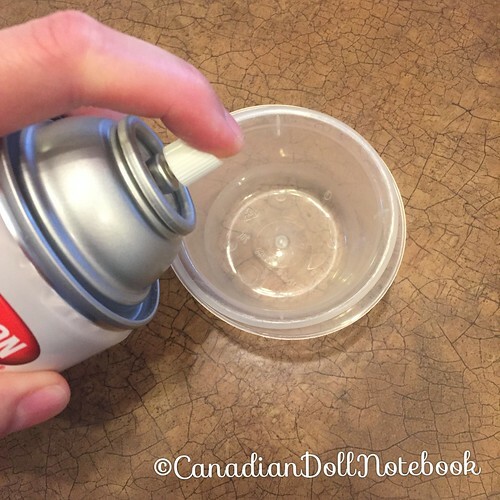 You will need to put a sealer on paint once you are done, you don’t want your hard work to disappear! I know that there are plenty of sealers out there, but I had this one on had from previous art projects so I put it to use. 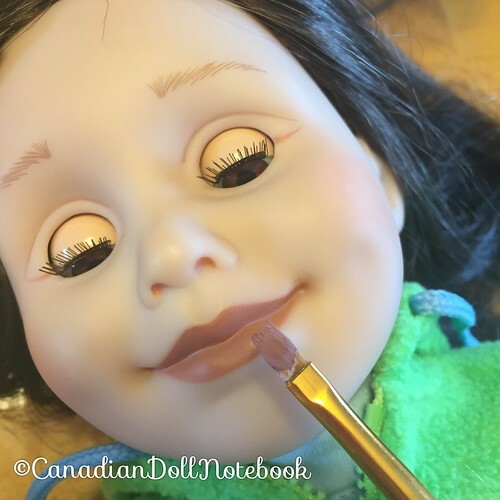 …And using a clean paint brush I brushed it unto her lips. All done! Sometimes a girl does need to add a little colour to her lips. Hi Meg! Just found your blog, it’s awesome! 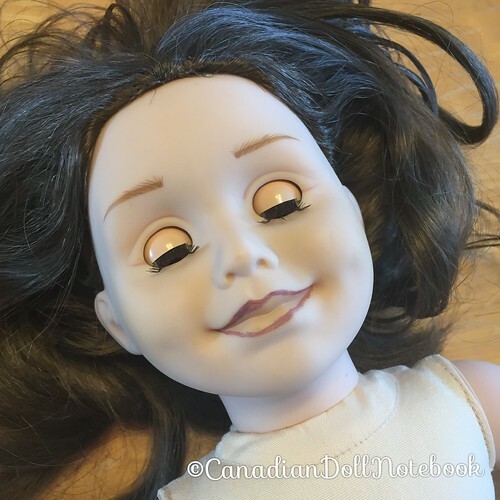 I’m run a doll restoration business and I love finding blogs that fix up dolls like I do. You did an amazing job on Taryn! That was such an awesome find. 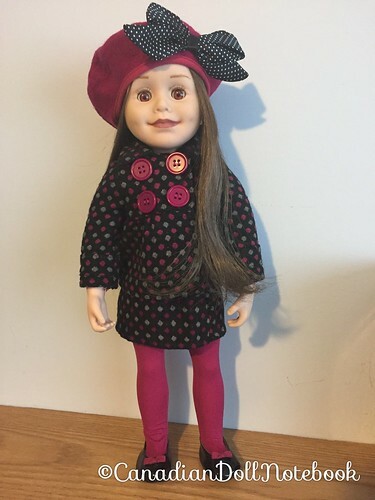 I just bought a Saila on eBay last night and I’ve never had a Maplelea doll before, are they much different to take care of than AG dolls? Do you have any tips on taking care of them? I’m glad you found me too! 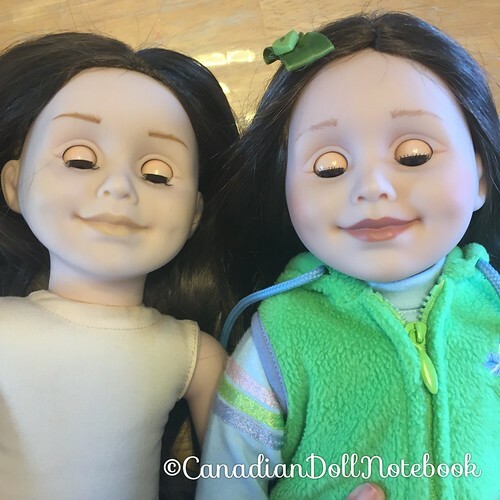 The big difference between Maplelea and AG is that a Maplelea doll’s head is tied on with strings, but the strings are hidden and the only way to get to them is with a seam ripper, similar to the new AG dolls. Also their eyes are a different shape and size so eyes swaps aren’t the same. 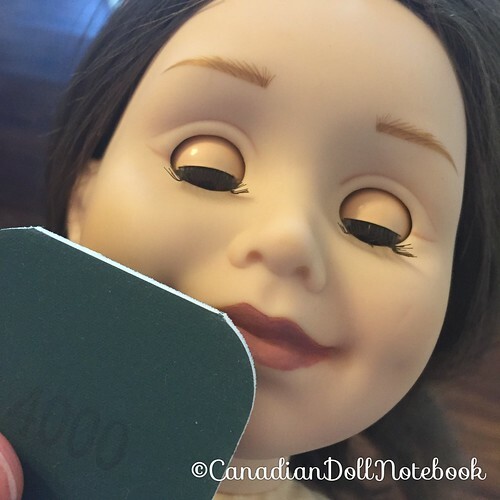 I am still working on an eye swap with one of Maplelea dolls… it’s not easy. The limbs are a bit different too. I plan on writing a post about all these differences… one day I will get to it! Hopefully that answers your question. Any other questions feel free to ask. Thanks for stopping by, I will be sure to head over and check out your site too!